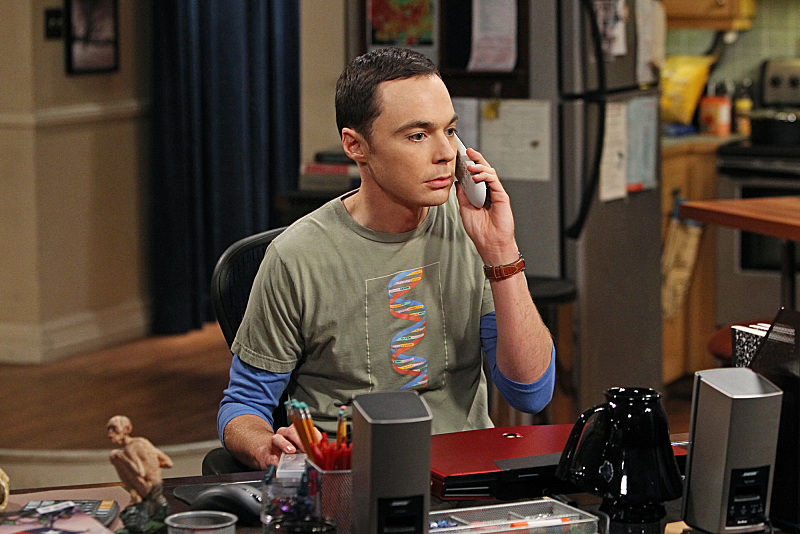 "The Hofstadter Insufficiency" -- Sheldon (Jim Parsons, pictured) and Penny share intimate secrets while Leonard is away at sea, later, SheldonÃ¢ÂÂs feelings are crushed when Leonard returns, on a special one-hour seventh season premiere of THE BIG BANG THEORY Thursday, Sept. 26 (8:00 Ã¢ÂÂ 9:01 PM, ET/PT) on the CBS Television Network. Photo: Monty Brinton/CBS ÃÂ©2013 CBS Broadcasting, Inc. All Rights Reserved. THE BIG BANG THEORY returns Thursday, September 26th at 8 PM on CBS. Yay Regina King! She’s been a great addition and foil to Sheldon.